For some, money is an taboo topic you just don’t talk about. But barrel racers know it can make or break you. What’s not shared, can’t help others. Silence keeps us stuck. So for the greater good, let’s just dive in and put it all on the table, shall we? My husband once had a roping partner who would hock one of his saddles at a pawn shop on the way to the rodeo so he could afford to enter, then buy it back on the way home with his winnings. As funny as this is looking back, I don’t recommend it! Much like the first steps for creating sanity-saving and goal-reaching SYSTEMS to make the most of our time, we also need to start in this area with a reality check. After all, it’s hard to manage time OR money well, when you don’t have any. 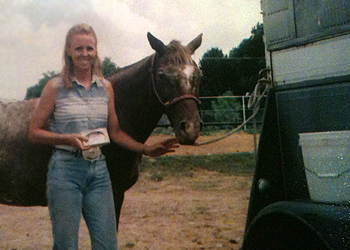 I’m not going to delay before coming right out and sharing that the most important piece of advice I could offer someone for funding their barrel racing dreams (or just adequately preparing for the next season), is this: No matter how enthusiastic, obsessed or legitimately talented or skilled you OR your horses are – DO NOT SPEND MONEY YOU DO NOT HAVE. Now I totally support the notion of “dreaming the impossible dream,” and making it come true, but let’s NOT be tempted to put the cart before the horse. 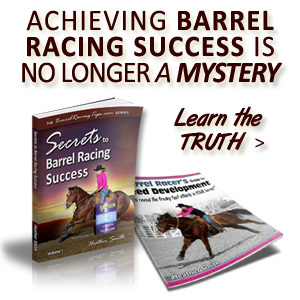 Barrel racing is a gamble, the competition is tough and the odds aren’t usually in our favor. Even at the very top of our game, we’ll lose more than we win. If you LOVE running barrels, and if you’re serious about running barrels and competing at a high level, then there’s some leg work to do. It all starts with getting a realistic look at your finances, determining where adjustments are necessary, then making a plan to stay on track. This step must come before we get all starry-eyed about upcoming events on the calendar. This is because the funds you have to support yourself (and your horses) will determine just how far, and often you’ll go. It’s not too likely to happen that way. 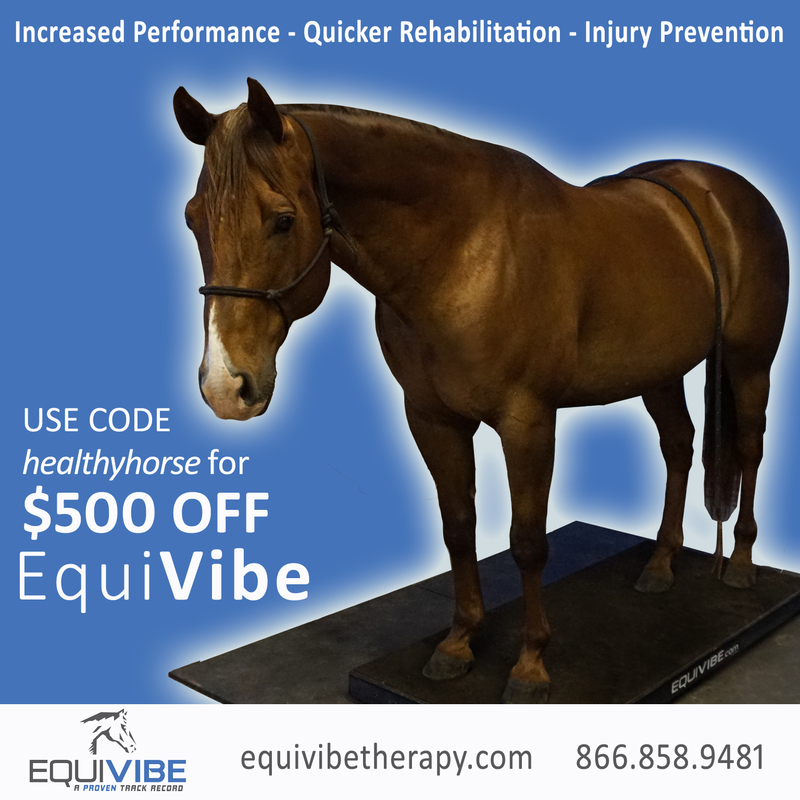 Horses get hurt, and “stuff” happens. A much more rational (yet unusual), way to go about it is to actually do the prep work first. Building wealth and the financial freedom to rodeo requires conscious spending, consistent saving, and especially – living well within your means. While it’s best to get a good start on this when you’re young, it’s never too late and it doesn’t have to take forever. When you embark on this less-traveled road, it’s essentially going to be a journey that’s filled with much more enjoyment, not to mention healthier, happier relationships in AND out of the arena, and much less stress. I will always encourage you to DREAM BIG, and commit to making those dreams reality, not just by saddling up, but by actually putting in the time and effort to build a financial foundation that successful barrel racing, healthy horses, your peace of mind, and more can rest upon. Getting Started (or restarted) is Simple: On a piece of paper or in an Excel spreadsheet (like these) record your income and expenses. This includes all the monthly bills you pay plus categories for any other regular areas of spending. Getting everything down in writing is critical. The biggest mistake people make with finances is that they don’t pay close attention to where their money is going, which eventually leads them to wondering where it all went! It’s easy to resist this part, because some of us may not really want to face the reality that will come along with crunching the numbers. But living in fantasy land is never a way to go. 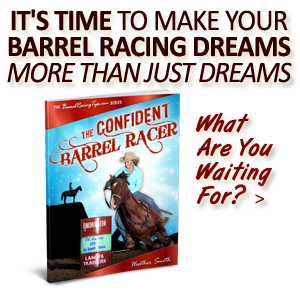 Whether we’re “too busy,” in denial, or simply forget, the truth is that if our current financial state isn’t pretty, procrastinating or ignoring it won’t cause it to improve – and certainly won’t get us closer to living our barrel racing dreams. If you despise bookkeeping, make it fun – put on some nice music, pour yourself a glass of wine (or water if you’re wanting to save $) and sit down to do the math. Make it a priority. 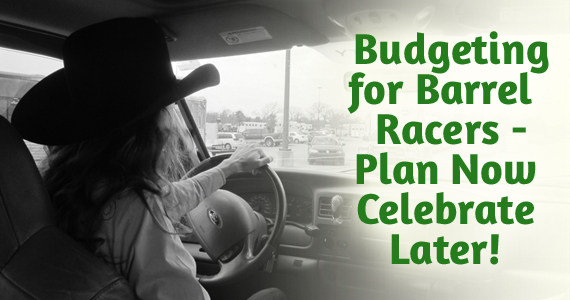 Of course, if you’ve been around horses long enough, you know that it’s seemingly impossible to live on a very strict budget because unplanned expenses come up and vary based on the season. Do your best. You may need to share funds between categories, which is OK as long as you’re tracking it and not spending beyond your boundaries. Now comes the fun part. Once you have a basic budget set up, it’s time to crunch another set of numbers. Think about the “must attend” events in the coming year and calculate estimated expenses for each major trip, OR an average “cost per week” if you’ll be on the road for a while. 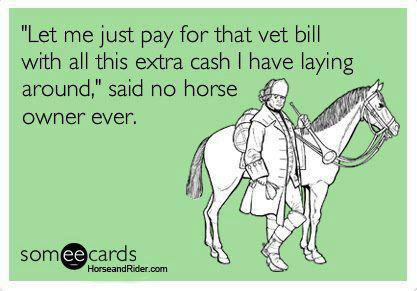 Look up the entry fees, calculate the fuel (click here for a fuel cost calculator), stalls, meals, feed, estimated Vet/horse health bills, then add on some “buffer funds” for the unexpected or unplanned travel expenses. Take a look at your new or freshly updated budget and determine how much income you have available to put into your barrel racing fund. How far will it get you? Plan your schedule of MUST GO events based on the funds you have available and the expenses involved. Then, add some tentative dates to your schedule where your attendance will depend on how you do at your “must go” events. Traveling a couple hours to just one weekend barrel race with two horses can end up costing well over $500. That’s reality. If you’re like most people, you’ll be rather shocked at just how many expenses are involved and how little you have left over from your income after bills are paid. If you’re living paycheck to paycheck, something needs to change. What do you need to do for that amount to grow? Don’t let this discourage you, but motivate you to make some adjustments! When it comes to improving your financial picture, there are only two ways to do it – cut spending or increase earning (or both). Now, I don’t intend for you to live on Ramen noodles, but for most people there’s plenty of room to drop unnecessary expenses. What do you REALLY want, and how bad do you want it? Are you willing to trade what you want right now, for what you want most? Can you adjust your mindset as you do, so that you don’t feel like you’re being deprived? 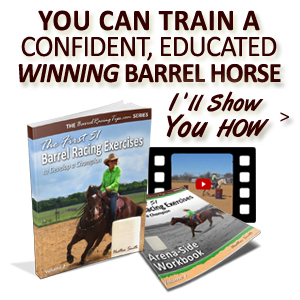 Your goal here is lower or cut expenses where possible, spend smart, work toward increasing your income, and start socking money away into a barrel racing fund. If saving is a challenge, I recommend setting up an option on your back account that automatically deducts your bill payments and also transfers funds into your savings each month. Pay yourself first by making automatic, non-negotiable deductions into “untouchable” savings. The contents are more important than the frame. Are you trying to keep up with the Jones’? Are your choices driven by concern of what other people think? Do you need more “all natural sweetness” in your life instead of a sugary dessert, or SLEEP instead of a caffinated latte? Do you use food or material things to fill an internal void? Be brave enough to dig under the surface. Winners seek the truth and are brave enough to face their own inner and outer roadblocks head on. I have spent more than eight months in the last two years living in a horse trailer or a tiny hotel room. In all honesty – I didn’t miss my “stuff” at all! Less is SO MUCH MORE, on many levels. To raise funds to foot your barrel racing, consider selling off tack or any household items you don’t love or use often. Of course, remember your time is valuable as well – don’t spend an hour creating an E-bay ad for a $5 item. Donate items to the Salvation Army, which helps declutter your space and mind as well – creating “space” for more abundance (not necessarily “stuff”) in your life. If you’re in debt with numerous loan payments, put a freeze on any unnecessary spending, which may mean staying home for a while while you get rolling with a debt snowball. Do the math to determine how long it will take to drastically reduce debt and get some savings established. Look closely at those interest rates. If you have a high interest credit card, for every $100/month payment you send in, you may only be paying off $10 on the balance. You know what you can do with your income when you don’t have any payments, right? Carry a loan on your truck and trailer if you must, but I highly recommend making it a goal to pay off your rig so you can buy more fuel! Also, don’t buy more than you really need. After all, a fancy rig you can’t afford to pull out of the driveway isn’t much good, right? Especially focus on your INCOME as you move forward – really appreciate every single dollar that comes in knowing that what you focus on, expands. Adopt an attitude of gratitude, focus on what you DO have. While you need to be realistic about any lack you’re dealing with, don’t fearfully obsess over it to the point of letting your mind spin with discouraging thoughts. Rather than allow yourself to have an internal pout over “going without,” do everything you can to purposefully stay positive and motivated through this process lifestyle change. 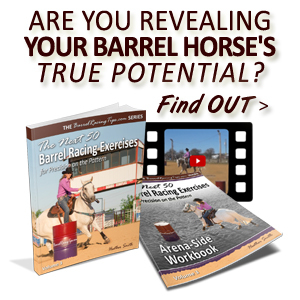 If you’re not able to travel with your barrel buddies for a while, keep in mind that it’s not because you “can’t afford it” – it’s that you’ve made a conscious decision to take your life and barrel racing to a higher level, which involve making some short-term sacrifices for long-term gain. Get creative and resourceful about saving money, like it’s a game! Can you go a whole week on a spending freeze other than absolute necessities and bills? Two weeks? Really think about the difference between want and need. For expenses like groceries, my husband and I make bulk trips at Sam’s to save both money and time, and stick to a certain amount per month, similar to what good ol’ Dave Ramsey recommends with the envelop system. We budget so much $ for groceries, and whatever we don’t spend at the store we can use to eat out that month. This way, we don’t inadvertently go overboard in this area, which is very easy to do. Slowing down and simplifying our life has been a great help too – it’s hard to be conscious about spending when you’re head is spinning in survival mode day to day. It takes conscious, consistent attention to stay on track. Don’t let the craziness of life let your spending get out of control or cause you to lose sight of the state of your accounts, OR your dreams! What you may give up by sticking to a budget and saving each month now, you’ll gain ten-fold in the long run. It’s a lot like the benefits of healthy eating; you’re not denying yourself the pleasure good-tasting junk food – you’re giving yourself the gift of health, mental clarity, energy and a positive outlook! You may sit out on a dinner with friends, but for every time you bow out and say NO to an invitation, you’re actually saying YES to what’s most important to you. Don’t lose sight of that – your dreams are not only possible, but well worth pursuing and making sacrifices for! Remember that creating financial freedom requires a mental shift. By reining in your spending and saving up to run barrels, you’re giving yourself, your family and your horses the most amazing gift – the opportunity to live your dreams with less struggle and worry. Competing can be tough enough as it is, and life on the road is not for the faint of heart – don’t let lack of finances create even more stress and strain. Be bold enough to face your financial truth, and pay close attention to it. Value yourself and value your goals – whatever changes you have to make now will be worth it. I’m not perfect and by no means have it all figured out, but if I can start where I did, get where I am, AND go where I’m going, then so can you. It does not matter where you are today, or where you started from. God put those dreams in your heart for a reason, and I’m confident he’ll even help you with the financial end of things as well – IF you ask Him and allow Him. You can do this. You CAN get ahead and challenge the status quo. Do the work, trust and have faith. What are YOUR challenges surrounding money, and what tips can you share? 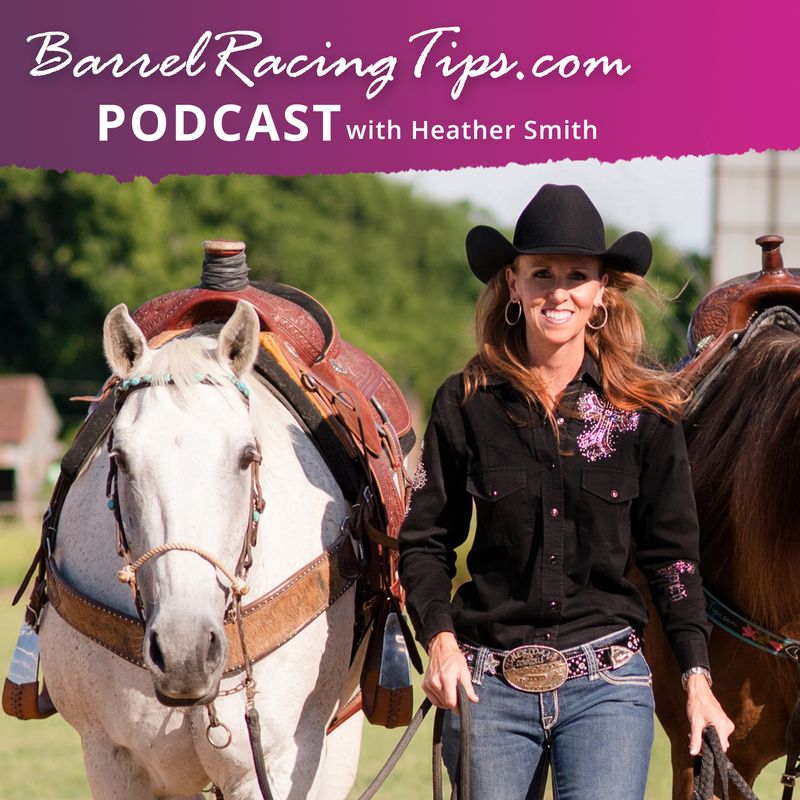 https://www.barrelracingtips.com/wp-content/uploads/2018/06/barrelracingtips.png 0 0 Heather Smith https://www.barrelracingtips.com/wp-content/uploads/2018/06/barrelracingtips.png Heather Smith2014-10-21 01:00:472018-09-09 00:57:45Budgeting for Barrel Racers - Plan Now, Celebrate Later! Love your practical tips, thanks! Really appreciate the raw honesty and great advice! I love the tips. I’m blessed to have a job and I already have to plan ahead for races. I don’t get to go as much as I would like. I’m going to sit down and budget my money and see where I can cut back. Thank you for the article! It puts things into perspective, I will have to admit that sometimes I get “side tracked” and spend money on things that I don’t really “need”. I love your saying, “God put those dreams in your heart for a reason, and I’m confident he’ll even help you with the financial end of things as well – IF you ask Him.”, that really hit me hard and made me open my eyes!! Thanks!!! Thanks for your kind words, I think we ALL get sidetracked at times. Glad it was helpful! Excellent and honest. Deciding to release “stuff” and extra, truly unneeded purchases is the bottom line and when you pack for your trip be sure to load God in the truck with you. He loves to go along for the ride! Thank you, Heather. This is such a necessary topic to talk about, yet hardly ever gets *really* talked about outside of typical wishing or complaining. I started a job 6 months ago and it pays excellent for a recent college grad, but and in all honesty, it’s everything I’ve never wanted to be. It breaks my heart to be so separated from my horses and racing because of the required traveling. But I keep at it for the time being so I can pay my college loans down and hopefully get 100% out of debt in 5 years. I have created my own schedule of accounts and income/expense reports, which helps a lot. I’ve actually saved up enough in 6 months to buy my filly I broke on my internship last summer and figured out a budget to board her close to my work so I don’t feel so disheartened 24/7 from not having any horses to look at out my hotel room, let alone ride and make progress on. This being said; with another few years (fingers crossed I have the strength to make it) in this paper trail job, I’ll be out of debt, my 3 year old filly will be old enough for the big girl races, and I’ll be ready to really take my rodeo to the next level. Don’t ever let anyone tell you this is easy, but if it’s for the best in your heart and you haven’t won the lottery yet…keep on trucking! 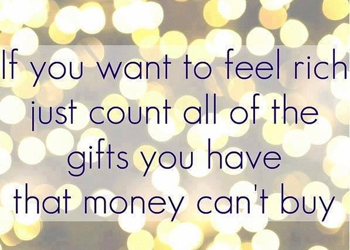 If it means that much to you, you’ll make it happen and hopefully have a comfy lifestyle to go along with it. Best wishes to everyone!